After five years of being a brunette, I’ve finally made my way back to the lighter side! For the past year and a bit I have had a constant struggle with my hair. Typically when I would get it dyed I would get dark brown put it and when I left the salon it always looked black but would fade to a gorgeous deep brunette colour. About a year ago now I went to my regular salon (I don’t go there anymore) and without asking me, the stylist (who was later fired I found out, although I’m not sure of the technical reasons why) put black in my hair, which I didn’t realize until a few months down the road when the colour didn’t get any lighter. Now, if you go black it’s very hard to go back. 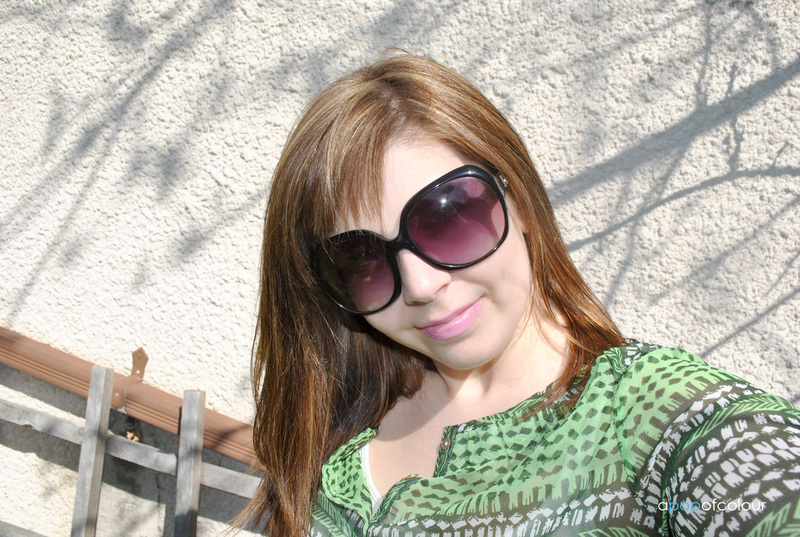 When I would dye my hair lighter the colour would take to my roots but not to the middle/ends of my hair. Think of it this way, if you use a coloured marker over a black marker it’s not going to show up. Now there are a couple ways to get rid of black hair, the most common way that I was told was to do a colour corrector. I’m not a hairstylist, but a colour corrector is basically just like bleaching on your hair and then dyeing it over with a new colour. Colour correction is a very expensive treatment, very timely, and worst of all, it can leave you hair very damaged. I was literally at the end of my rope and so frustrated with my hair as it already grew out significantly but any colour I dye it it would just dye my roots and my ends would stay dark, thus leaving me two shades in my locks. Luckily, I got the chance to chat with Dove celebrity hairstylist Mark Townsend a few weeks back and he said to just get a bunch of highlights instead of a colour corrector. Being that he does every it girl in Hollywood’s hair, I took his advice. I ended up getting a ton of blonde highlights and I am glad to say that I am finally rid of the black! I went to the Aveda Institute and although it was a student working on my hair, she did a way better job than any stylist I have been to in the past year. With the help of an educator, she put a lightener in my hair to break up the black and then did a ton of highlights throughout. I can finally say, after so long, that I absolutely love my locks. Now, because she took me from black to blonde (well, not fully blonde), obviously my hair was feeling very dry and damaged by the time we were done. To be honest though, I didn’t care; I have a ton of hair products and shampoos that I knew would take my tired tresses and transform them back to life. My miracle product? Kiehl’s Olive Fruit Oil Deeply Repairative Hair Pak. 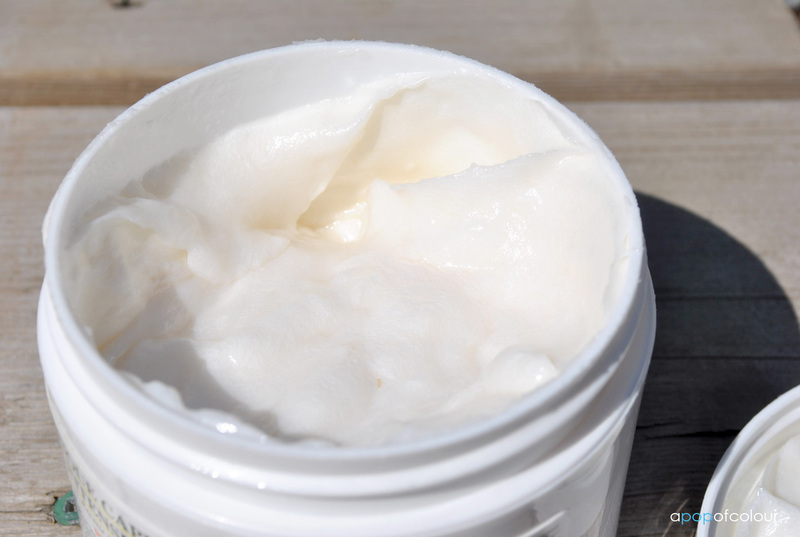 Formulated for dehydrated, under-nourished, and damaged hair, our repairative masque provides intense conditioning, helping to repair severely weakened hair fibers by restoring its moisture content. Our formula contains the latest in haircare science with molecules that mimic the natural oils which coat healthy hair. We blended enriching Avocado Oil, Lemon Extract, and Olive Fruit Oil-inspired by traditional home recipes-to create a deeply nourishing treatment that moisturizes and strengthens hair as it restores shine and a healthy appearance to even severely parched hair. Consistent use of our Deeply Repairative Hair Pak will prevent future damage from environmental stresses and other external abuses. Ideal for hair weakened by overexposure to sun, chemical-processing, or excessive heat styling. Honestly, by the end of the weekend (I got my hair done on a Friday), my tresses were feeling silky smooth once again. You can apply this treatment everyday if you have severely damaged hair, but I have only used it twice post-dye job. I apply this to freshly shampooed hair, but skip my regular conditioner. The way I see it is that this acts as a conditioner anyways. After you slather it on, leave it in for three to five minutes and then rinse off. Even in the shower, your hair will feel silky smooth. I cannot even say enough how tangled and dry my hair was after I got my highlights (although it did look fab) and it was literally like a plant gasping for water. This product truly brought my hair back to life and restored it to it’s silky, shiny, and smooth texture. If you are dramatically going to be changing your hair, or if you have very dry or damaged hair already, I would highly recommend you pick this product up. It’s pricey but so worth it. One more thing, I went to a hair show where Tabatha Coffey was the main speaker and she mentioned that she often hears clients complain that they hair is never as vibrant or soft as when they left the salon. The salon doesn’t have special water or anything, it’s all about the products you use in your hair. My favourite shampoo and conditioner is Pureology (which is the shampoo I used with the Kiehl’s hair pak, although I do have their Olive Fruit Oil shampoo as well, I just chose to use Pureology), and I cannot stress enough the importance of using a good shampoo and conditioner that is formulated for your hair type. I do switch off every once in a while, sometimes using Dove, Aveda, or Kiehl’s. Some of them may be expensive, but if you are going to use chemicals in your hair to alter it, you might as well spend the extra cash and invest in products that will make it look as amazing as it did when you left the salon. 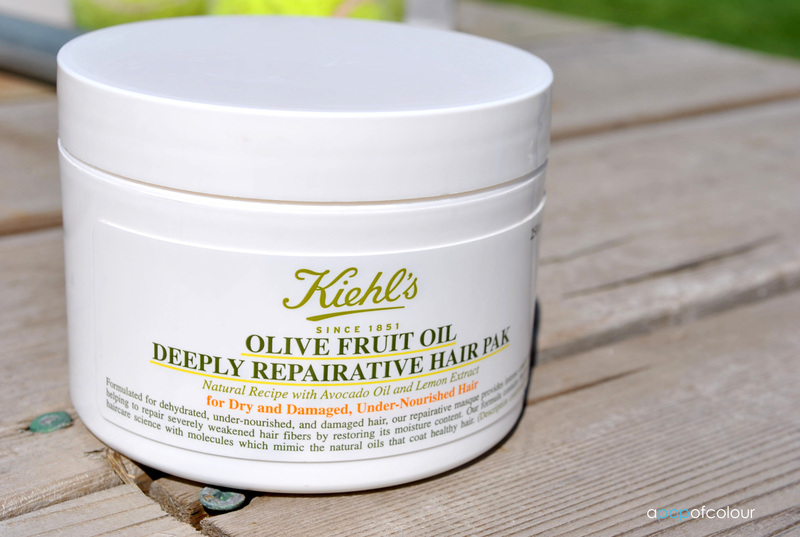 Have you tried Kiehl’s Olive Fruit Oil Deeply Repairative Hair Pak? If so, what were your thoughts? Speaking of taking care of your hair, don’t forget to enter my huge Dove giveaway! * Canadians and Americans only, must be a subscriber!